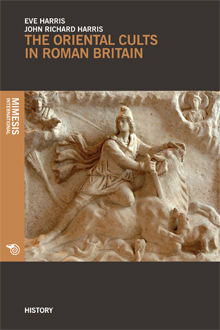 What are the reasons behind the contamination of oriental cults in Roman Britain? What circumstances led to this spiritual upheaval, the results of which contributed to the triumph of Christianity? This problem, which is fundamental to the history of religions and for the identification of the origins of Western civilization, is at the centre of this classic study by E. Harris and J.R. Harris. It is a work of immense value for its methodological rigour and the subtlety with which it is able to reconstruct the articulations and the organic unity of a singularly complex and elusive phenomenon. Eve Harris was a historian and archaeologist of ancient times. John Richard Harris was a historian and archaeologist of ancient times. He was also, with Finley Moses, a great academic and exponent of Greek and Roman myths.